Radisson Hotel Group has announced a strategic global partnership agreement with Ctrip.com International bringing together one of the largest hotel groups in the world and the largest online travel company in the Asia Pacific region. Through the agreement, the two companies will work to expand the global distribution of Radisson Hotel Group’s premium properties – giving travellers a wider choice of destination and hotel. Ctrip will play a key role in supporting Radisson Hotel Group’s growth in China – a key focus market for the group and its brand portfolio. Going further, the partnership will also see Ctrip work with Radisson Hotel Group to develop China as a source market for its properties and destinations around the world – increasing the number of outbound Chinese guests visiting its range of more than 1,100 hotels in operation. 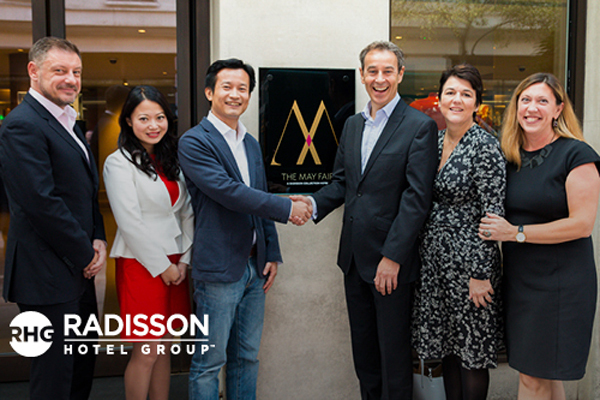 The agreement is a huge step forward for both companies, allowing Chinese travellers greater access to Radisson Hotel Group’s high-quality portfolio of hotels than ever before. “We’re very excited to be deepening our collaboration with Radisson Hotel Group, one of the world’s largest premium hospitality groups,” said Ray Chen, CEO of Ctrip Accommodation Business Unit.